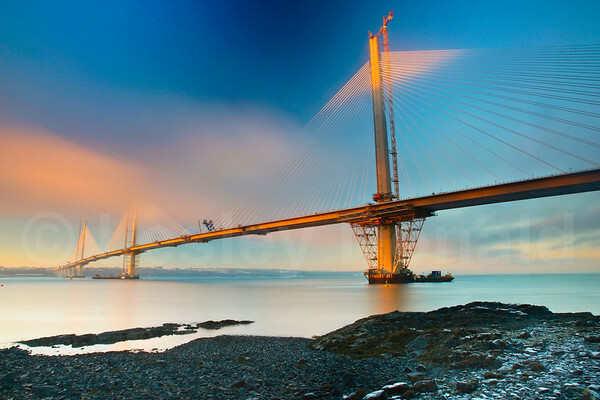 Queensferry Crossing - the tallest bridge in the UK and the longest three towered, cable-stayed bridge in the world. Opened by The Queen on 30th August 2017. "It is a very rare spectacle to see frost on the ground by the water's edge in North Queensferry. So when freezing fog was forecast in November 2016 I thought it might make a good picture with Queensferry Crossing centre stage. I was up early the next morning and took this photograph at sunrise."